This cozy dresser and mirror set is an easy addition to any home with a stylish clean design and plenty of storage space. The dresser has six drawers and two doors for a variety of storage options. A distressed finish and tapering block legs add rustic charm. Pair with the storage bed and other storage pieces from this collection for a matching and homey bedroom set. 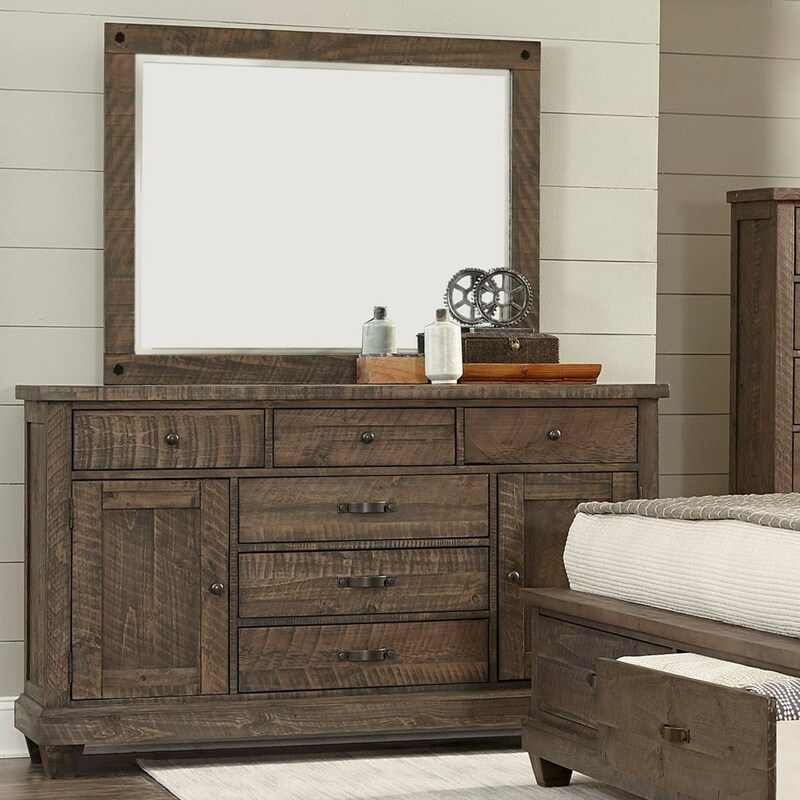 The JD Mex Rustic Dresser and Mirror Set by Lifestyle at Royal Furniture in the Memphis, Nashville, Jackson, Birmingham area. Product availability may vary. Contact us for the most current availability on this product. Simple yet sophisticated, this bedroom collection features a planked sleigh bed and matching storage pieces. A distressed finish, tapering block legs, and worn hardware add rustic charm. The JD Mex collection is a great option if you are looking for Rustic Transitional furniture in the Memphis, Nashville, Jackson, Birmingham area. Browse other items in the JD Mex collection from Royal Furniture in the Memphis, Nashville, Jackson, Birmingham area.